Edward McClennen, 77, who retired earlier this year from Syracuse University as professor of philosophy and political science after teaching at the University since 2003, died Saturday, Nov. 2. McClennen received his Ph.D. from Johns Hopkins in 1968. Before coming to Syracuse, he spent the bulk of his career at Washington University in St. Louis and at Bowling Green, where he was Ohio Board of Regents Eminent Scholar in Moral and Political Philosophy. He then spent a few years at the London School of Economics, where he was Centennial Professor of Philosophy, before coming to Syracuse. He also held visiting appointments at several institutions, including Harvard, the University of Pittsburgh, Rutgers and the University of Rochester. He was very well known internationally for his work in decision and game theory and in moral and political philosophy. His book “Rationality and Dynamic Choice” was an enormously influential critique of expected utility theory. He published more than 50 articles and continued actively publishing in top journals even in the last few years as he dealt with serious health problems. He received many grants throughout his career, perhaps most notably one to draft a Bill of Rights for a new Libyan constitution, which resulted in his taking several trips to Libya each year from 2004-2008. 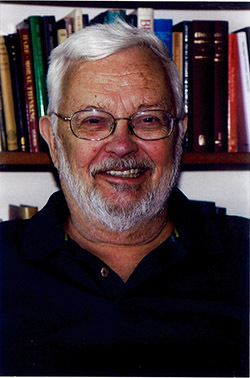 McClennen focused on foundational issues in decision and game theory, and on the application of these theories to issues in social and political philosophy, public policy, political economy, moral theory and practical reason. He was a NEH Fellow in 1989. He is survived by his wife, Ellen Esrock, and his children, Nathaniel Esrock McClennen and Sarah Pearmain McClennen.